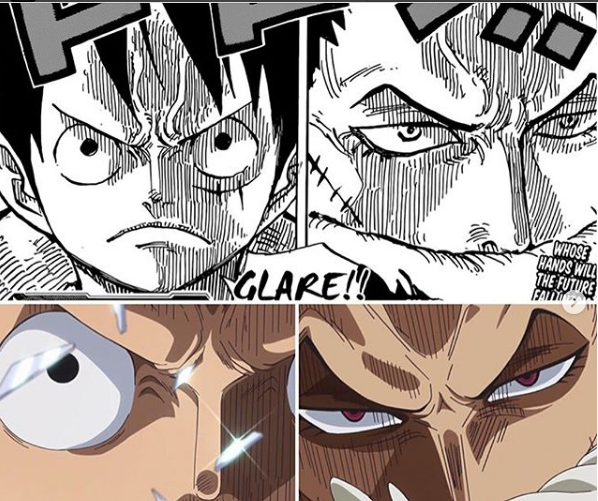 The Most intense fight on One piece Episode 852 finally start with the Luffy & Katakuri in Mirror World and the Next Episode is certainly will be going Up to keep in action. The titled with "A Hard Battle Starts! Luffy Vs Katakuri with teasing Major Haki clash two of them with powerful Attack. Katakuri make crucial point in the battle of proving he can use techniques even better than Luffy can, and it seems this resume onto next phase of the fight. The display sees Luffy striking Katakuri with his Various haki infused punches but Katakuri is matching them from blow to blow. Along with Katakuri released swirl of giant mochi infused with this Haki where he doesn't seems that to break sweat as mad Luffy round with his own giant fists. luffy try to attempt to fight his Elephant Gun Technique, mobilize a giant Haki Infuse Punch but katakuri counters even this with "Elephant Gun" of himself. Both of them are very Powerful that even their Haki clashes can be giving with all sorts of Energy ans Sparks. Katakuri's in the preview seems to continue on journey to demonstrate he can match every attack of Luffy's techniques but Luffy try to get hard by going ever trick in the book in order to make dent of billion Bounty foe.